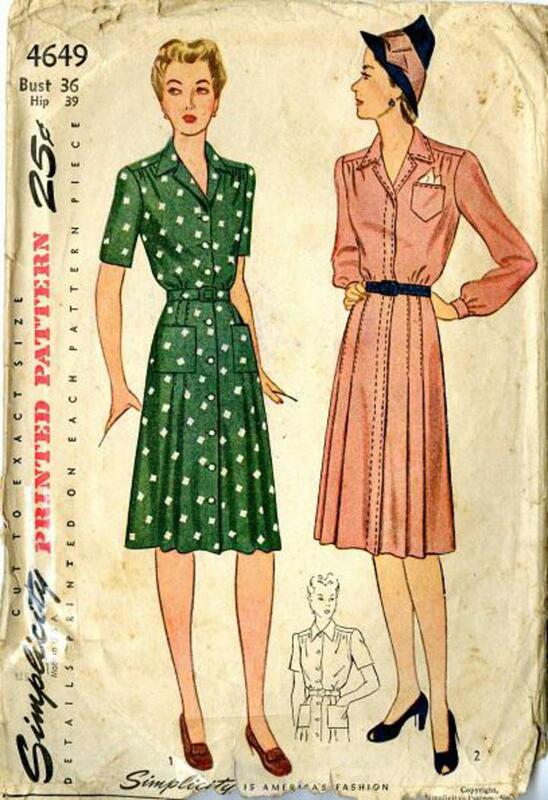 1943 Simplicity #4649 vintage sewing pattern, misses' classic shirtwaist dress, size bust 36. The waist has a shoulder uoke which is joined to the gathered edges in the front and back. 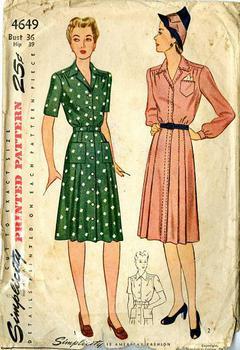 The skirt, pleated in the front, has three gores in the back.